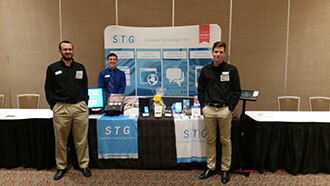 Jacob Burger, Andrew Adams, & Dalton Thurlow of The Shumaker Technology Group attend the 2016 Michigan Association of Municipal Clerks (MAMC) Annual Conference. 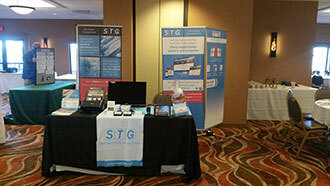 It’s always a pleasure to see our current clients at events like this, but also being able to show new municipalities how our custom Websites, Mobile Apps, and Document Management Solutions can help make government more efficient. Shumaker Group’s Kyle Shumaker & Dalton Thurlow attend the Michigan Township Association (MTA) Nothern Market Expo in Harris, MI. In addition to showing off our custom Websites and Municipal Document Management System, Kyle and Dalton also debuted our new mobile app for municipalities. This app allows residents to view contact information for their township, view elected officials, submit a picture of an issue they need help with, and even fill out simple online forms, right from their Android or iPhone.